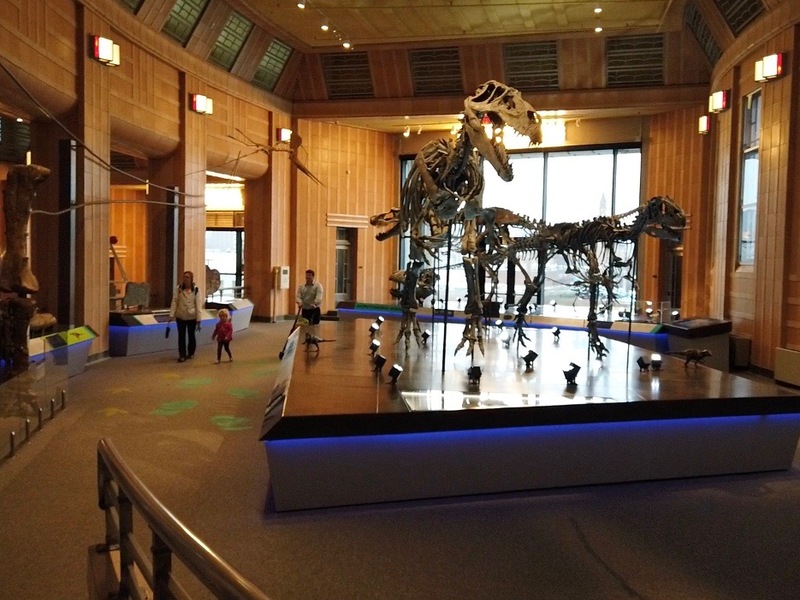 David Grimes can’t see the massive dinosaur specimens in Cincinnati Museum Center’s re-imagined Dinosaur Hall. But he can experience the exhibit thanks to Braille signage produced by Clovernook Center for the Blind &amp; Visually Impaired. 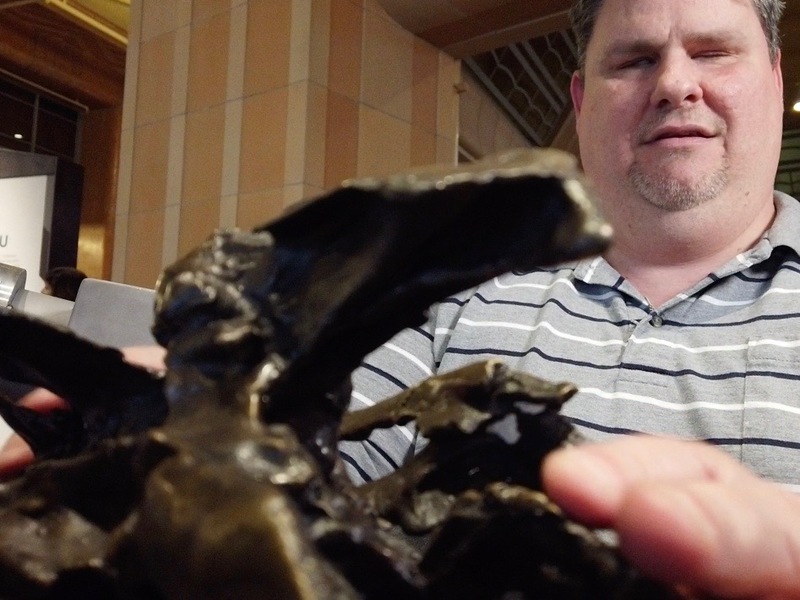 CINCINNATI — David Grimes can’t see the massive dinosaur specimens in Cincinnati Museum Center’s re-imagined Dinosaur Hall. But he can experience the exhibit thanks to Braille signage produced by Clovernook Center for the Blind & Visually Impaired. “I love having the signage because it opens up the exhibit to blind and visually impaired people,” he said. 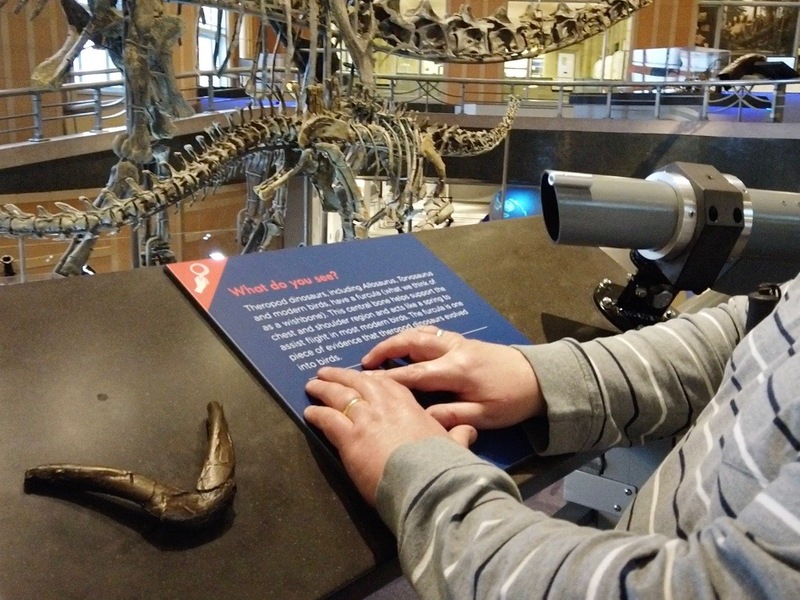 Dinosaur Hall went a step farther by commissioning bronze sculptures of elements of the dinosaurs that are explained by the Braille signage, which Grimes said add a lot to the experience. Grimes, a corrector and quality assurance coordinator at Clovernook, was one of the employees who worked with Museum Center staff to ensure the Braille signage was accurate and meaningful for the people who would be using it. “When we started the design of this gallery, one of the main things that we really wanted to emphasize is that there are many different forms of observation that allow you insight into the scientific method,” said Sarah Lima, senior director of project management for exhibits at the Cincinnati Museum Center. 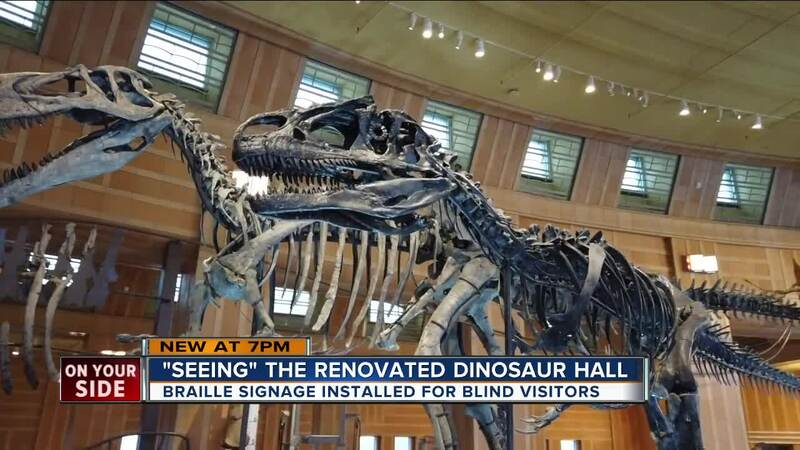 Dinosaur Hall has been such a hit, Lima said, that the Museum Center staff is working to figure out ways to bring better Braille signage and bronze sculptures to other exhibits, too. The exhibit wouldn’t be so successful, though, if it weren’t for Clovernook, Lima said. Clovernook is the largest-volume producer of Braille in the United States, creating more than 20 million pages of Braille each year, said Samuel Foulkes, the Braille printing house manager there. The key to getting the signage right is having people who are blind and visually impaired involved in the process, Foulkes said. “You have to really know what you’re doing and be a skilled Braille reader to really be able to produce quality Braille,” he said. There are computer programs that translate signage into Braille, but Foulkes compared those to Google translate. “You’re going to get a pretty rough translation that’s not going to be accurate about 95 percent of the time,” he said. Grimes agreed, saying often times Braille signs use the tactile writing system improperly. Some have Braille that is half in “Grade 1,” where all the words are spelled out, and half in “Grade 2,” where groups of raised dots represent a contraction, or shortened version of a word. That boost has made Dinosaur Hall better for people beyond the Clovernook community, said Gwen Elliott, director of community collaborations for the Museum Center. Dinosaur Hall’s success also has opened doors for other things that the Museum Center has been doing to be more welcoming for everyone, she said, from putting “quiet zones” in the museum to making sure Union Terminal has adult changing tables. “We’re really excited that this showcases stuff we’ve been working on that we’re now able to go live with and opens bridges to the future of accessibility for all,” Elliott said. More information about the Cincinnati Museum Center is available online. Information about Clovernook Center for the Blind & Visually Impaired is online, too.